Majek Fashek, is a Nigerian reggae singer-songwriter and guitarist. In his homeland he is best known for the 1988 album Prisoner of Conscience which included the single “Send Down the Rain”, winning him several awards. Also known as The Rainmaker, he has also worked with various artists worldwide including Tracy Chapman, Jimmy Cliff, Michael Jackson, Snoop Dogg, and Beyoncé. 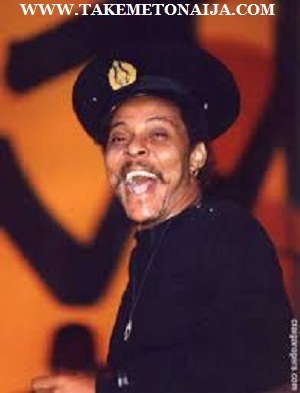 Majekodunmi Fasheke, popularly known as ‘Majek Fashek’. Often, people, especially the writers conveniently refer to him as “Edo-state born” musician. There is no doubt that his mother was an Edo-woman. But his father, the late Mr. Emmanuel Olatunji Fasheke, is a popular Ijesha-man from Osu-Ilesha, Osun State. Hence, Majekodunmi Fasheke (Majek Fashek) is “Ijeshaedo” by his roots. Delving more into his Ijesha roots, Majekodunmi’s grand mother that is the mother of his father had her own house built in the neighborhood of Oke-Iyin in Ilesha Township. His father was a popular educationist raised by the then Obafemi Awolowo led Western Region government. Among his father’s contemporaries was the group of people sponsored to England by the then Western Nigeria government scholarships to study in various fields of knowledge that would be useful for development of the Region. Pa Emmanuel Olatunji Fasheke was a former principal of Igbobi College, Yaba, in Lagos. And that was among his duty in public service. Majek Fashek’s parents separated when he was very tender. After his parents separated he lived in Lagos with his father, who then was a school principal. His father died when Fashek was only ten years old; consequently, Majek Fashek moved back to Benin City with his mother, and joined the choir in his local church together with his cousin future band-mate Amos McRoy Gregg. At the choir, Majek Fashek learned how to play the trumpet and guitar. He then also began to compose songs for the choir. They were best known as the in-house band on the show Music Panorama on NTA Benin, and toured with fellow reggae group The Mandators. Jastix were also session musicians for upcoming reggae singer Edi Rasta, who would later be known as Evi-Edna Ogholi. In 1988, shortly after Jastix disbanded Fashek, who now used the name Majek Fashek, signed with Tabansi Records and began a solo career by releasing the album Prisoner of Conscience and quickly became Nigeria’s top reggae artist after the song “Send Down The Rain” became the most popular song of the year, and in 1989 he won six PMAN awards which included “Song of the Year”, “Album of the Year”, and “Reggae Artist of the Year”. Fashek’s next album was I&I Experience which was released in late 1989 under the Tabansi label. After leaving Tabansi Records, he was signed to CBS Nigeria in the early 1990s and released So Long Too Long. In 1990 he was signed to Interscope Records and released the critically acclaimed album Spirit Of Love, produced by “Little Steven” Van Zandt. In 1992, he appeared on Late Night with David Letterman in support of his new 1991 album, and performed the song “So Long Too Long” for the television audience. Flame Tree released The Best of Majek Fashek in 1994. He was later dropped by Interscope before moving to Mango, a division of Island Records, as it was more accustomed to marketing reggae internationally. His first album for the company included a cover version of Bob Marley’s “Redemption Song”. He has recorded several albums for various labels since, including Rainmaker for Tuff Gong (1997) and Little Patience for Coral (2004). Fashek’s musical influences include Bob Marley – whom he resembles vocally – Jimi Hendrix, and Fela Kuti. He was one of the original Nigerian artists to be drawn to the music of the Caribbean, specifically reggae, rather than indigenous hybrids such as fuji, jùjú, but has been known to mix these genres into his own style which he calls kpangolo, and the song “My Guitar”, an ode to his favourite instrument, was also heavily influenced by rock. Fashek played a supporting role in the 2000 Nollywood movie Mark of the Beast, and starred in a commercial for non-alcoholic beverage Diamalt. He recently (2016) performed in a comedy show (with more than ten thousand audience in attendance) in Lagos, Nigeria, with a roundly power-filled and soul-lifting performance. Fashek was married to Rita Fashek who inspired the song “Without You”; the couple had four children together, but have since divorced. In 2015, it was revealed that Fashek was bankrupt and battling drug addiction. After admitting that he needed help, he was admitted into a drug rehabilitation centre in Abuja where he is currently recovering. What message do you have for people; especially those who say you are sick? Me? I don’t have any message for anybody, the message I have for the Nigerian press is that they are going to hell. Why? Hell? And do you know you are also including me? Christ in a different way and in different form. give them, not them demanding for it. fed up because of bribery and corruption. But would you agree with me that you are sick? Dube, I am invincible, you can’t shoot me. I am Anikulapo. Read ALSO: RockTime Media Floats TINA Magazine For Africa! In 1989 Majek won six PMAN awards which included “Song of the Year”, “Album of the Year”, and “Reggae Artist of the Year”.